What is Managed Forest Land? The inspection program is structured to meet the Council’s policy objective of inspecting each managed forest at least once every 5 years. A formal inspection program has been carried out each year since 2007 which resulted in an Inspection Report. In addition, site inspections and field assessments may also be carried out as a result of an owner’s self-reported slide or environmental incident, as a result of public or stakeholder enquiry or complaint, or for managed forest land that is entering or leaving the program. The inspection program is designed to ensure that owners are fulfilling the requirements of the private managed forest land legislation. Council’s 2018 inspection program included 46 managed forests: 36 on the coast and 10 in the interior of the province. A summary of inspection findings is included in the report. In 2017 Council carried out an inspection program that included 45 managed forests: 33 on the coast and 12 in the interior of the province. The inspection sample encompassed 17% of forests in the Managed Forest Program. A summary of inspection findings is included in the report. In 2016 Council carried out an inspection program that included 68 managed forests: 47 on the coast and 21 in the interior of the province. The inspection sample encompassed 24% of forests in the Managed Forest Program. A summary of inspection findings is included in the report. In 2015 Council carried out an inspection program that included 62 managed forests: 38 on the coast and 24 in the interior of the province. The inspection sample encompassed 22% of forests in the Managed Forest Program. A summary of inspection findings is included in the report. On May 14, 2015 Council office received a letter from the Pebble in the Pond Environmental Society (Society) expressing concerns with Island Timberlands harvesting of Lot 450 in Powell River. Council commissioned a report to review the Society concerns. In its review of the consultant report Council accepted its findings that Island Timberlands had not contravened the Private Managed Forest Land Act or regulations. Council carried out a review of soil conservation and forest management within the Comox Lake Watershed following a December 2014 boil water advisory issued by the Comox Valley Regional District. The review concluded there was no direct evidence of significant mass wasting or erosion events from ongoing forest management activities of private managed forest owners that would have contributed in any significant way to the boil water advisory. The Managed Forest Council has a policy to inspect all managed forests at least once every five years, as well as to inspect new managed forests within three years of entrance to the program. In 2014 the Council carried out an inspection program that included 69 managed forests: 49 on the coast and 20 in the interior of the province. The inspection sample encompassed 26% of forests in the Managed Forest Program. A summary of inspection findings is included in the report. Council office received a staff report from the Sunshine Coast Regional District (SCRD) regarding the activities of AJB Investments Ltd. harvesting of Block CH1 in Chapman Creek. As the main source of water to a large number of residences on the Sunshine Coast, the SCRD was concerned that road construction and the harvesting of Block CH1 may negatively impact downstream water quality. Council in its review of the SCRD concerns accepted the findings of an onsite assessment of logging practices that AJB Investments Ltd. had not contravened the Private Managed Forest Land Council Regulation. Council has released a report into forest management activities in both the China Creek and Honna River watersheds. The focus of the study was on forest practices on private managed forest land in relation to water quality. Council initiated the study in the spring of 2013 in response to forest management concerns it received from the Forest Practices Board. In 2012 the Council carried out an inspection program to assess owners’ performance in managing their forest properties with respect to the management commitments and private managed forest land legislation. There were 27 managed forests inspected: 21 on the coast and 6 in the interior of the province. The properties were located on Vancouver Island, the Sunshine Coast, the South Coast and in the Kootenays. The 2012 inspection program was the beginning of a new five-year cycle of inspecting all managed forests in the program. In 2011 the Council carried out an inspection program to assess owners’ performance in managing their forest properties with respect to the management commitments and legislation. Of the 48 managed forests inspected, 13 were in the interior of the province and 35 on the coast. The properties were located in the Kootenays, South Okanagan, Hazleton areas, Vancouver Island, Gulf Islands, Bella Coola, Fraser Valley, and the Sunshine Coast. The 2011 inspection program was the completion of the five-year cycle of inspecting all managed forests in the program. In 2010 the Council carried out an inspection program to assess owners’ performance in managing their forest properties with respect to the management commitments and legislation, and to assess owners’ knowledge of private managed forest regulations. Of the 36 managed forests inspected, 11 were in the interior of the province and 25 on the coast. The properties were located in the Kootenays, Merritt area, Vancouver Island, Gulf Islands, Queen Charlotte Islands, and the Sunshine Coast. In 2009, the Council carried out a site inspection program to assess owners’ performance in managing their forest properties with respect to the management commitments and legislation, and to assess owners’ knowledge of private managed forest regulations, specifically, the Private Managed Forest Land Council Regulation. A range of large to small properties was selected from managed forests on Vancouver Island, the Gulf Islands, central interior, Kamloops area, and West Kootenays. In 2008/09 the Council completed an inspection program to assess owners’ performance in managing their forest properties with respect to the management commitments and legislation, and to assess owners’ knowledge of private managed forest regulations, specifically, the Private Managed Forest Land Council Regulation, 2007. A range of mid-size to small properties was selected on Vancouver Island, the Gulf Islands, and the Thompson Okanagan area. 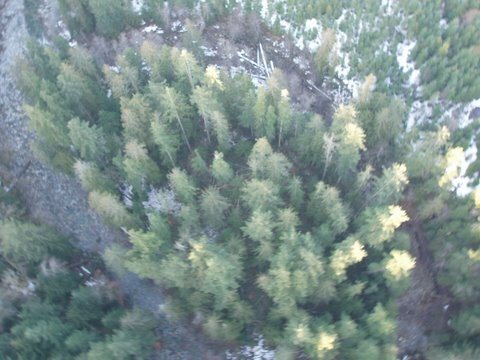 Council accepted the findings in the Erosion Assessment Report and concluded that TimberWest Forest Corp did not contravene the Private Managed Forest Land Council Regulation 2007 in respect of the flooding that occurred in November 2007 in Block T141 in the Beaufort Range near Port Alberni. In 2007/08, the inspection program’s objective was to assess owners’ performance in managing their forest properties with respect to the management commitments and legislation, and to assess owners’ knowledge of private managed forest regulations, specifically, the 2007 Private Managed Forest Land Council Regulation that took effect on September 1, 2007. Large to small properties were inspected on Vancouver Island, Gulf Islands, and the Kootenay Region. Council accepted the findings in the Block Assessment Report and concluded that TimberWest Forest Corp did not contravene the Private Managed Forest Land Council Regulation relating to the harvesting of Block CK106 at Kweishun Creek, near Courtenay on Vancouver Island.